The actual word count on “The Dream Quest of Vellitt Boe” is 36,700 words. I edited it and have an electronic word count. Cheryl S.: I love fiction that starts in media res; the uncertainty and the need to piece together scant information intrigues me. That’s probably why I was drawn in immediately and stayed invested throughout. If it’s not working for you after the first few chapters, I’d give it up, because it starts as it means to go on. But it might help to, as I think others have suggested, read The Battle of Candle Arc first if you’re going to try again. I generally love stories that start in media res, in which you figure out the world based on clues as the action proceeds; that wasn’t my problem with it. I thought that both Ninefox Gambit and “The Jewel and her Lapidary” suffered from the same problem: the author has come up with elaborate worldbuilding, but the only way they could figure out how to communicate it to the reader was by infodumping. I do appreciate those of you who suggested reading the short story before trying it again, and I will do that. I never pick up a book without hoping that I will love it — especially when so many other people have raved about it. It’s incredibly frustrating and disappointing when I don’t even like, and don’t want to finish, something that so many other people have loved. I always enjoy discussions where people have radically different opinions about a book. Not always positive vs negative, either, the ones where both people felt the same way about it but for very different reasons are great too. Hey all, thanks for the discussion of Ninefox Gambit. If it ends up on the ballot I’ll check out the stories that were recommended and give the book another fair read. Yay for the lurkers popping up with their ballots. ? Likewise! It probably helps books too because the difference of opinion generates more discussion and hence more interest. I’d planned to wait 24 hours after the last short-fiction nomination post, but Eric reminded me that we’re driving to Whistler (British Columbia, Canada) early tomorrow morning to go skiing with his relatives. That means we need to post the summary for short fiction tonight. It has been 12 hours since anyone posted a new set of short-fiction nominations, and we got submissions from about fifty people, so that’s pretty good. So here it is: have a look at the Annotated 2016 File770 List for Short Fiction. This comprises the top-15 lists for Best Novella, Best Novelette, and Best Short Story–a little more than 15 in some cases due to ties. In general, this is an elite list of stories; most of them have multiple recommendations from different sources. Greg Hullender: While I don’t begrudge RSR its clicks — you did the work, after all — it would do more to facilitate our discussion if somebody put a tally in the comments here. @Kurt Busiek: Don’t get me wrong; similar names that don’t make it a big ol’ mystery are nice for readers. Obviously they’re not trying to hide it from us (unlike sometimes). 🙂 “Nom du guerre”. . . .
@Greg Hullender: I expected a short summary here as well, but regardless, thanks for doing the work on tallying short fiction noms! Hmm, “Every Heart a Doorway” was quite the run-away favorite. 🙂 Yay! That’s only the totals for 3 categories, and it’s pretty much unreadable. Would someone else be willing to volunteer to provide complete totals here on File 770? (ordinarily I would do it myself, but I’m working on a project with a deadline). Here’s the RSR summary for the top 15 Filer nominations in novellas, novelettes and short stories. We wanted to include links to the stories and recommendations (reviewers, anthologists, reader polls) so the easiest way was to use our template that auto-generates tables from our spreadsheet and produced a post. However, per Mike’s request, I hacked the spreadsheet to emit a minimal list formatted for a comment. Folks who want the story and recommendation links can find them in the RSR post. I’ve got a spare evening and a brain that likes doing repetitive tasks while listening to audiobooks, so I’ll get on the tally of the other categories and post it here in a few hours. Novella is showing a near-shutout by Tor.com, but there are some magazine and independent novellas further down the list which is encouraging. Of course the big question is how EPH will effect things? The answer that is likely in the light of what evidence we have now, and is to be desired (since EPH was designed not to perturb results massively in normal years), is ‘not much’. Moreover, it’s quite likely that any perturbation that does arise from EPH will be cancelled out by 5/6. Thus, if the conventional method of counting for Novella would have produced four Tor.com novellas plus Penric (not improbable), and EPH displaces one of the Tor.com novellas in favour of a magazine novella (certainly could happen), then 5/6 might well let the missing Tor.com novella back in. I had already been doing a tallying but this was part of an overall piece I was doing trying to include as many from different blogs, sites, social media and friends etc. So won’t post here. But have had very few best novel nominations I have yet to find listed (although Neuvel does quite well in the new writer nods). As last year there was not such a significant disparity I will be interested to see which is a better predictor. I hope you’ll drop a link in to that article when you’ve finished. “Not much” is probably right. I just had a quick look at everyone’s novella category and I could only find one ballot that was five tor.com novellas. Obviously they were extremely popular but most people seem to have considered other sources as well, so there’s no “tor.com bloc” for EPH to act on. The right way to do EPH on the data is to run the algorithm until it produces an empty list, outputting the EPH score of each item at the point it was discarded. Then you can look at the resulting list (in reverse order) to see what the top 5, top 6, top 15, etc. would have been under EPH. Maybe I’ll do it when we get back from Whistler. I’ll do five per post, and upload the raw data to a google doc that I’ll link at the end. Looooong tail on this category, as I guess you’d expect…! The one I remember best is that there was a clear Wombat Effect ? We may be seeing that again with The Tomato Thief. Red in Tooth and Cog actually got three recommendations: RSR, SFRevu, and Richard Horton. So, yes, I’m sure it benefited from the publicity, but it’s a very strong story in its own right. One thing I learned from this is that a lot of filers read Giganotosaurus. I’m not sure I can bring myself to read a 12th magazine regularly (especially one that’s not SFWA-qualifying), but I’d be happy to read and review occasional stories from there (or other venues) that people call my attention to. It seems a shame that a story was so good that 7 different Filers recommended it, and yet (from what I can tell) no critical reviewer ever even read it. And here’s the date file. I’ve turned on editing for now because we are all sensible adults on the internet and I’m sure I’ve made some mistakes which others might feel generous enough to correct. If it gets trashed I’ll reupload as a read only. Best Series has a bit more coherence than I expected. It’s particularly striking how well Thessaly is doing. – The Power; Naomi Alderman. Honestly, I think one would get my vote for best I’ve read of 2016 at the moment, but due to a late U.S. release it’s pretty much inevitable that it’s not going to get in this year. On the other hand, it’ll be eligible again next year. – The City of Woven Streets; Emmi Itaranta. This was one of many vying for slots four and five on my list, but I do think it’s a good book that deserves love. – All-New Wolverine, Vol. 1: The Four Sisters; Tom Taylor and David Lopez. It was good. – Chapter Seven: The Bathtub; Stranger Things / – Chapter Eight: The Upside Down; Stranger Things. It’s looking like Stranger Things may have gotten a bit shafted in Dramatic Short because of people choosing to nominate the whole season in Dramatic Long instead. I’m not a big fan of doing that for series in general, for a number of reasons. – Jay and Miles X-Plain the X-Men. Between this and All-New Wolverine, I’m starting to suspect I’m an X-Man Fan or something. Wow. NONE of my series nominations made the F770T10LL (although most got a nod from at least one other person.) I would not have expected that. @Kyra If I added you and Aaron to the Best Series data then Fairyland and The Dagger and the Coin would end up tied for 10th along with the other 4 vote works (as would Xuya and Magic Ex Libris). Another surprisingly missing work I’ve not seen anyone note yet is Everfair by Nisi Shawl which made the Nebula shortlist but hasn’t graced a single F770 ballot so far. Polyglossia by Tamara Vardomskaya was recommended and linked by someone here in File 770, and I know it went on my list because of that link. Word of mouth works! Or would that be Word of Blog? On the plus side, it looks like I’ll have some good new books to read in a few weeks! Thanks to Arifel for the aggregation. I wrote about that upthread. Based on last year’s straw poll and the puppy-free longlists that a couple of people worked out, there was a reasonable correlation but by no means definitive, and with some obvious cases of things that were filer favourites but didn’t do so well in the real thing. We’ve had less data than last year though, I think the thread got at least a hundred entries back then. One thing I learned from this is that a lot of filers read Giganotosaurus. I’m not sure I can bring myself to read a 12th magazine regularly (especially one that’s not SFWA-qualifying), but I’d be happy to read and review occasional stories from there (or other venues) that people call my attention to. GigaNotoSaurus only publishes one story a month, so it wouldn’t be that large an additional investment of time. I’ve found that the quality of stories published there is consistently good although it isn’t SFWA-qualifying. Rashida Smith has good taste (well, other than rejecting my submissions a few times). I’m interested in the comparison with the Nebula. Obelisk Gate, All The Birds in the Sky and Ninefox Gambit make the Nebula and the top of the filer list, but Borderline and Everfair both did badly here despite the Nebula nom. I remember Borderline getting a lot of attention but personally I thought it was fun but flawed, so maybe that’s what other people concluded. I didn’t get to Everfair, and I don’t remember that much chat about it here. Much less crossover in novelette, with only Blood Grains and You’ll Surely Drown Here If You Stay from the Nebula list getting significant mentions here, with Jewel and her Lapidary a bit further behind. In short story, Red in Tooth and Cog should be a correlation but technically isn’t… plus Our Talons Can Crush Galaxies and Seasons of Glass and Iron are nebula finalists who do very well here as well. We may need a re-tally on the numbers Greg and Eric posted as well. Someone had Time Cookie Wars on their short ballot (a story I enjoyed too) but I don’t see it in the rollup numbers. Unless it’s out of eligibility at least one was missed which means recounting all. I’d volunteer but am buried at the moment. Maybe tonight if no one else has got to it. Arifel: Many thanks for tallying these votes — the results are fascinating. Sorry about that. I think I saw that response. It probably didn’t stick as my thought was about influence over a much longer time frame rather that just looking at 2015. If you meant correlation between filers nominations and results, then last year was the first time the straw poll was taken so no historical time frames are available. If you meant actual filers winning Hugos, then I answered the wrong question…. Dann: We did a 2016 version of this post and Nicholas Whyte toted up the results — it should be easy to find. As I recall there was a reasonably high correlation in some categories — perhaps not surprising, because a lot of people shared their ballots. 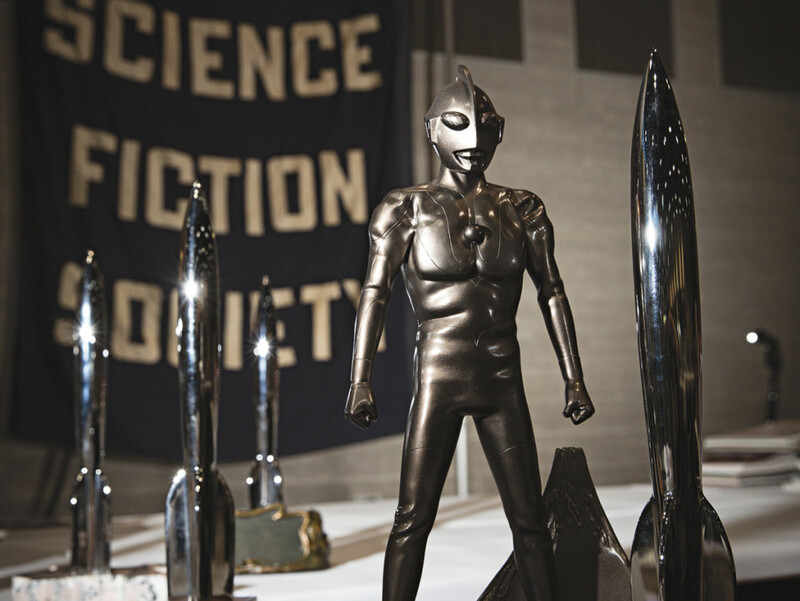 What Did You Nominate for the 2016 Hugos? These are only the top-15 lists anyway. Filers nominated 46 unique novellas, 64 unique novelettes, and 88 unique short stories. I was molesting Radiance’s very attractive paper edition* on a visit to Waterstones post-wheelchair appointment, but I don’t recall whether it sounded like my thing from the discussions of it here… I’ll have to do some searching through the archives. I nominated Everfair, by the way, but of course I wasn’t discussing much of anything in the run-up. Too busy reading to try and catch up. And taking a lot of naps. Stupid winter. The internet commentariat forming a community is a fairly recent development in File 770’s lifetime, I think, so there wouldn’t be much info for the longterm. Perhaps OGH remembers File 770 recommending something(s) in the past that ended up getting nominated, and that would probably count towards File 770’s longterm influence/reflection of Worldcon fandom as a whole, but the Filer community as a group haven’t been around that long. Ursula Vernon is, of course, exceptionally popular with Filers – but was nominated and won for Digger long before we all started stalking our favourite Wombat’s work all over the internet (and on a personal note, I was very excited to rediscover an artist I’d found years before and promptly forgotten the name of because I’m terrible at names; I’d been guiltily using downloads from DeviantArt as desktop backgrounds when I was a teenager and her art got promoted regularly). She has support from the wider Worldcon community, just perhaps not quite as dedicated as it is round these parts. I suspect other Filer’s past and present might also benefit from a Filer halo for their work – I know I’ve been keeping an eye out for Kurt Busiek’s, for example, and Graydon’s battle sheep and Heather Rose Jone’s Alpennia series are quite popular, and my eternal frustration at Laura Resnick’s lack of kindle publications in the UK still stands, although whether any of that’s enough to help get a nomination is another matter – but we’ve been lucky with the talent available so I don’t think it leads to anything untoward. Just perhaps a lack of correlation with the final ballot here and there. *I don’t really read paper anymore because they’re usually too difficult to hold, but I’m considering the merits of having a bookcase full of my absolute favourites that also have nice covers just so I can pet them on the regular and maybe loan them to very trustworthy people occasionally. Books are just nice objects and I miss them. I grew up in a library masquerading as a house (or a house masquerading as a library) and it feels wrong not to have many. Meredith: That makes sense. A writer’s next challenge, after getting published, is getting their book/story in front of an audience. If that happens, the work can find its own level in the awards conversation. File 770 commenters do a lot to bring more readers to works they like. Once a work is part of the conversation, the cohort of fans who like it may decide to vote for it. People here have pretty independent opinions but they share them, and that gets more eyes on books, following which (to mix a metaphor) the cream can rise to the top. Not long after I got my first Hugo nominations in the ought-Eighties I thought “I must use this power for good.” I was really impressed by an Alexis Gilliland novel, wrote it a great review, and figured things would take off from them. The book wasn’t nominated, didn’t even get that many votes. In a way I found that reassuring, and at any rate, I can testify my fanzine was never any kind of a kingmaker for the Hugo Awards. Yes, exactly – and thank you for the historical info! JJ– Aww, I just saw your comment about Castle Hangnail and Orcus. Thank you! I’ll limit myself to my choices for Best Related Work: 1) “There is No Defense,” Barry Malzberg (GALAXY’S EDGE, May 2016), 2) Roger Hill and Wally Wood, WALLY WOOD: GALAXY ART AND BEYOND (IDW Publishing), 3) Gahan Wilson, GAHAN WILSON’S OUT THERE (Fantagraphics), and 4) J. David Spurlock and Frank Frazetta, THE SENSUOUS FRAZETTA (Vanguard). RedWombat: Aww, I just saw your comment about Castle Hangnail and Orcus. Thank you! I had a hard time with novels this year – I felt like last year I spent a lot more time reading current releases than I’d have liked, so I didn’t worry too much. I also had a hard time with the shorter categories, for the same reason. @Eric Wong: Thanks for the easier-to-skim lists! @Arifel: Thanks so much for lists! Two run-away leads in Best Novel. Ditto “Arrival,” and clearly Strange Horizons is very well liked here.